P.S. If you haven't visited Murder by Death's How to BookLikes group yet, you need to catch up, just click here. Help! I can’t find my book on BookLikes! Trying to add new books (or new-to-you) to your shelves but can’t find them in BookLikes? Here’s what to do to find them, add them or edit them. 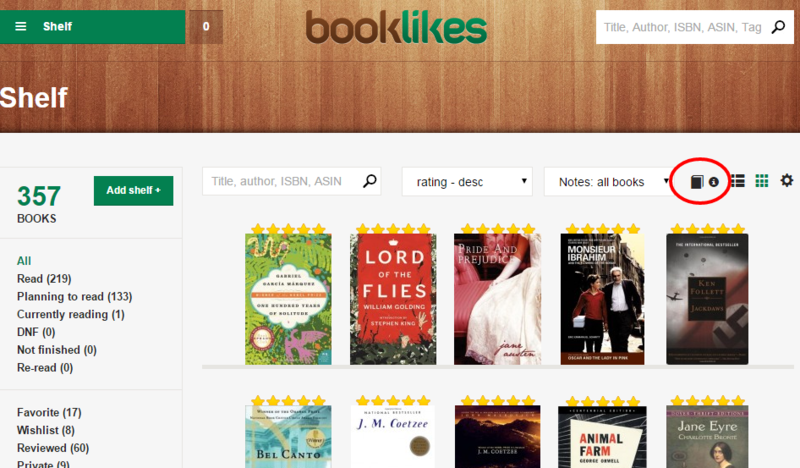 Like all databases of any size, BookLikes periodically indexes it’s book database. To paraphrase Wikipedia, indexes are used to quickly locate data without having to search every row in a database every time a search is done. An index is a copy of selected data from a database that can be searched very efficiently, but the actual process of creating that copy, or index, is no small thing; especially for large databases, so it’s only done periodically. What does any of that mean to us? It means that if a book you’re looking for has been added after the last indexing, it might not come up in a title search. So, if your search yields “No books found!” when you search by title, try searching again using the ISBN. 8 out of 10 times, you’ll find the book you’re looking for. The bonus of using the ISBN (ASIN works too!) is that if it isn’t in the BookLikes database, BL will automatically query its affiliate partners, e.g. Amazon, and if they have it, BookLikes uses the information to add the book record to the database. Easy peasy, right? But what if you’ve tried searching by ISBN and you still have no book love from the database? Then you can - and should! - add a new book. 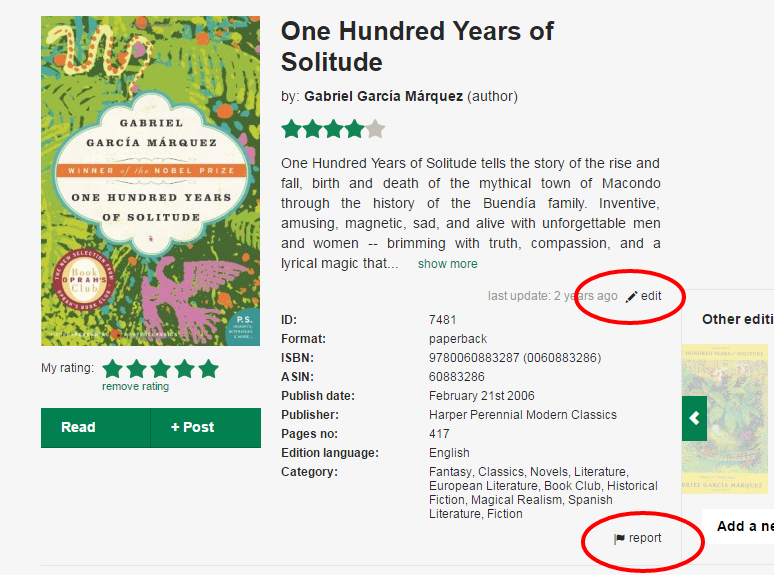 Any BookLikes member can add a new book to the database by using either the “Add a new book” button in the search results, or by clicking “Add a new book” on any author’s page (“Add New Edition” is only used when you’re adding a new edition of an already existing work/title). Please note: the Author field and the Series field are both search fields. When filling these in, wait a moment before hitting tab or return: you’ll see the spinning wheel and then a list of author or series names to choose from. Select the correct name from that list. If it’s a new series, hitting return will add it. New books are sent to the librarian’s queue for checking, so remember these important tips - the librarians will thank you and think good thoughts about you! 1. Please include the ISBN/ASIN for all new books you add. These are almost always found on the publisher’s page, library page, Amazon’s page, and about half the time, the author’s website. You might have to search around a bit, but they’re there. Either ISBN 10 or 13 will do; both is great if your feeling completist. For kindles and audible editions, the ASIN is both on the Amazon (or Audible) page and in the Amazon link to the book page. Books without an ISBN or ASIN will either be merged with book records that do, or will be changed to match a new edition with an ISBN. That might mean a different format or cover than you wanted for that record. So now you’re asking “What if the book I’m adding doesn’t have an ISBN or and ASIN? What then?” Excellent question. If you’re adding a book older than the ISBN system (pre 1970’s, approximately), or if you’re adding a short story from an author’s website, or a self published piece that the author did not obtain an ISBN for, then check the box for “No ISBN/ASIN” and make sure you include a valid source link that librarians can use to verify the information. Valid sources include the publisher, the author’s website and worldcat.org. 2. Please keep in mind that there are only two types of books that need an ASIN: kindles and audible audiobooks. If you are adding any other format (paperback, hardcover, ebook, etc.) please do not add an ASIN. If you’re an author adding your books to BL, add a new edition for each format: one for ebook with an ISBN, one for kindle with an ASIN, etc. You can add books to BL directly from the Amazon or BookDepository websites AND get them on the right shelf at the same time. 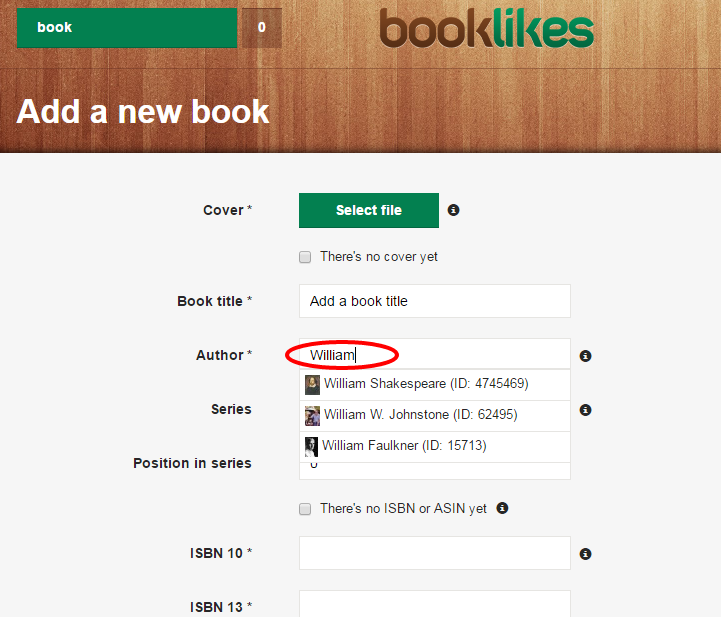 BookLikes offers a handy little widget-thing called “Shelve It!” and you can find it on your BL bookshelves. 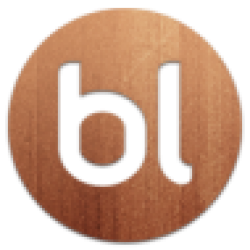 In the upper(ish) right area of your book shelves you’ll see a small black book icon. Drag that to your browser’s bookmark bar, and the next time you’re on Amazon or BD and see a book you want to shelve, click that button and voila! So what if you find your book, but it’s missing the cover, or series information or it’s marked as a Young Adult and it most certainly IS NOT YA? Edit that record! Fix it and help BookLikes towards perfection! Hyperbole aside, BookLikes allows anyone to edit a record to fix incorrect data for that edition. 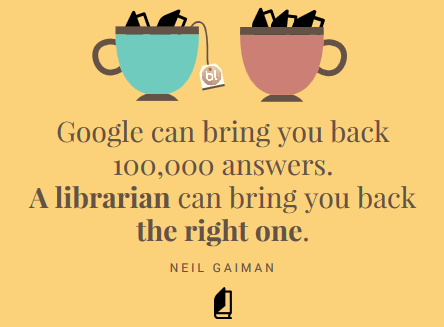 There are two ways to do this: either via the “edit” button, which allows you to make the edits yourself, or the “report” button which allows you to notify the librarians of the issues so they can fix it for you. Both of these are on every book edition page. 1. If you do the edits yourself, you won’t see your changes instantly; your edits go into the librarian queue and can be rejected if they don’t meet the BL guidelines. Currently there’s no communication method in place between librarians and users submitting edits, so if you don’t see your edits in, say, 48 hours, (it can be longer - they’re volunteers!) one or more of them likely got rejected. 2. If you’re changing the cover, either via edit or report, include a source link that verifies that edition has that cover. Because cover wars are not an urban myth, and as a rule, librarians are picky. Rejections happen without a valid source link. 3. DO NOT CHANGE or REMOVE AN ISBN. Just don’t do it! It almost never ends well; gnashing of teeth and rejection will almost surely be the result. If you can’t find your edition, add it. Don’t change someone else’s to suit yours. There are RARE cases when an ISBN is invalid - it happens but not often. When you know the ISBN is wrong, then do let BL know - use the report button and the comments box to explain why you think the ISBN is invalid. Also: BookLikes does not remove out-of-print editions. If it ever existed and had an ISBN, it stays and keeps the information that was valid for that edition at the time it was released (i.e. covers and titles and author pseudonyms). 4. If you see records that have both an ISBN and ASIN, and are listed as a “Kindle Edition” (note the uppercase K and the word “Edition”), this is a quirk of the imports and until it can be fixed, librarians need to split those records apart to form the correct ebook and kindle editions. If you want to let the librarians know about the ones you come across, use the Report button and choose “other” from the pull down menu and include a request to split them in the comments field.